I have been sad this week. I couldn’t put my finger on it at first, but I finally decided that I am . . . This is the first year since Chris graduated from college that I don’t have a trip planned. As each year takes me closer to retirement, I am so very aware that being able to travel overseas isn’t something to take for granted, to put off until there’s more time, or more money in the bank, or name-whatever-excuse-works-for-you. I had decided that after putting Chris through school, it was finally my turn to do something nice for myself. So I took the money I would have spent for tuition and room and board for the fall semester at Ohio University and signed up for my first trip, a Rick Steves’ tour to Italy. I was so excited. Yay for me! And it was even better than I dreamed it could be! Seventeen days later, I remember finally collecting my luggage in Cleveland after the long flight, via Newark, home. Instead of being tired, I was so invigorated and enthused about all I had seen and experienced, I was on a travel-induced high. I knew that these experiences made my life worth living in a wholly new, exciting and unexpected manner. And every time I return to Europe, I feel it again. Why this strong connection? I can’t explain it. I am simply enchanted by the sights and sounds, by the history, the architecture, the food, the people. What can I say? Have you been wanting to go someplace? It doesn’t have to be Europe. Maybe seeing the Grand Canyon is on your bucket list, or hiking in Nepal. What’s stopping you? Here’s what I believe, with all my heart: all your possessions will eventually get old, or break down or even just go out of style. Having “things” offers only a fleeting pleasure. But experiences and memories are priceless and yours to keep and enjoy forever. Travel lifts us right up and out of our day-to-day lives and feeds our hungry souls. So, let’s plan a trip, okay? I don’t care if it’s a Sunday afternoon exploring a town you’ve always meant to check out that’s less than 50 miles from home, or finally booking that once-in-a-lifetime, 10-day tour to New Zealand. As Donato the Rick Steves tour guide called out as we followed him toward each new adventure, “Andiamo!” Let’s go! This entry was posted in Travel and tagged bucket list, Europe, Italy, memories, New Zealand, Rick Steves tours, tours. Bookmark the permalink. 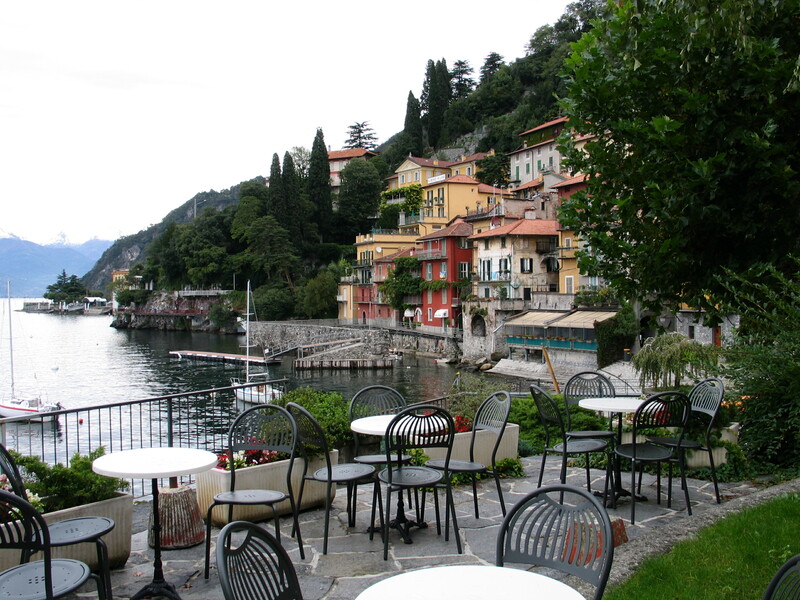 I think your picture is Varenna. Thanks so much! I’ll correct this tomorrow. Actually mentioned Vernazza last week with a post about Monterosso. Apparently still on my mind. And both such beautiful places!